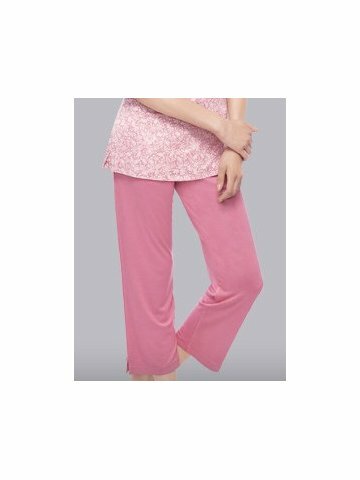 Cropped Pants: Slip into dreamland in this soft rayon jersey pajama bottom with delicate pleat detailing. Buy Amante Cosy Pastels PJ Crop online at cilory. This Nighty is a perfect addition to every woman's Lingerie collection.